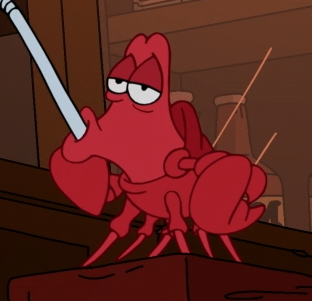 Sebastian is a character in The Little Mermaid. When Homer wanted move to under the sea he dreamt that he ate Sebastian. Modified on February 4, 2013, at 16:04.